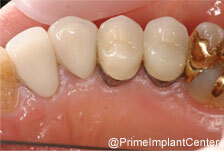 With state of the art technology Dr. Yi now has the ability to make non-metal based, ceramic crowns that are just as strong as a natural tooth. 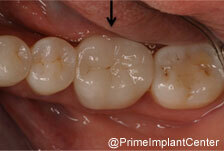 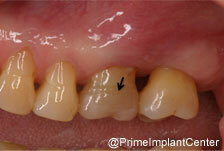 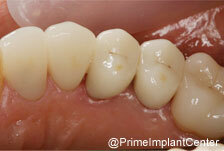 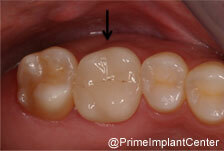 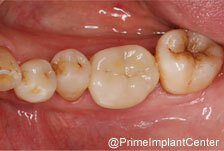 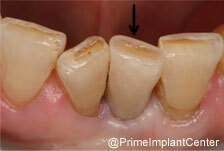 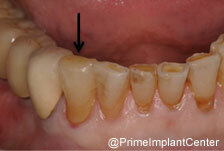 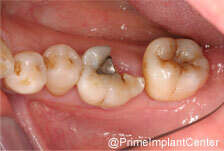 PFM crowns(Metal based crowns) could leave you with a dark line along the gum line and this is very unaesthetic. 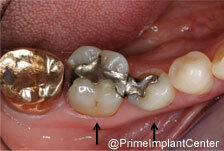 Metal-based crowns require a more aggressive tooth preparation, not to mention that they don't look very nice. 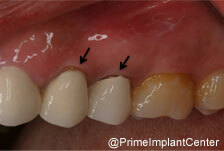 Today's materials allow us to bond to natural tooth rather than cementing a crown on, allowing for a better seal around the tooth and with most non-metal restorations we can see through them with an x-ray and also bond to them in the mouth. 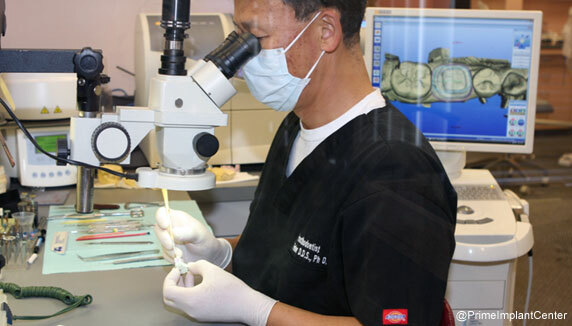 Dr. Yi can match crowns with natural teeth and crowns with veneered teeth, and implant crowns with natural or veneered teeth. 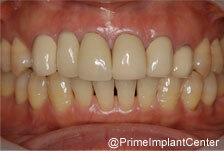 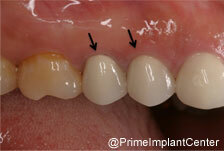 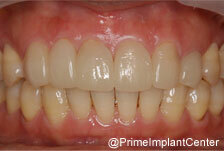 Please see the before and after photos to see if you can tell which tooth is a crown and which tooth is real. 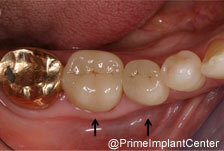 PFM crowns may reveal darkened margins around them as years go by. 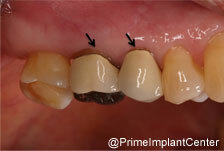 After computer designed and milled the ceramic crowns, Dr. Yi characterizes, stain and glaze them under the microscope.